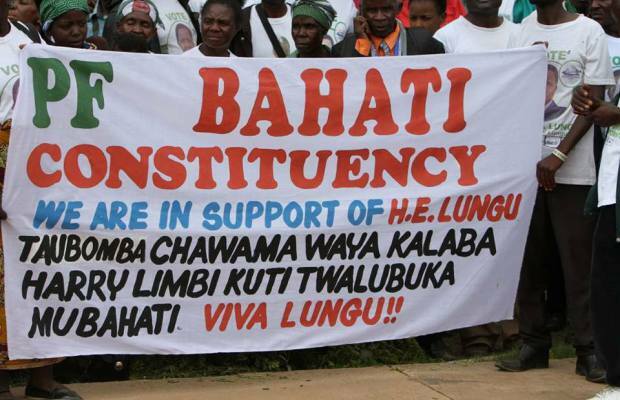 The 575 PF protesters who marched in Mansa in support of Edgar Lungu have demanded to receive the full amount they were hired for instead of K50. The protesters who mainly included women who are financially handicapped due to Medicare national leadership have warned the Party Leadership in the province of far reaching consequences if they are not paid K100 each as earlier agreed. PF Youth Leader Patson Mubanga earlier confirmed that State House had promised to release K50,000 to the protesters but the provincial party leadership just received K30,000. He also complained that only 400 protesters were budgeted for in the first place but that the number increased when word went round that all those protesting would be receiving something after the exercise. The resignation of Harry Kalaba has sent shivers across the already divided PF forcing state house to release K30,000 cash to bribe protesters.